of the Great British Seaside. We sorted the Pontins thing and the mood on the car lifted, or Danny’s mood lifted which is sort of the same thing. Sullen sleepy science replaced with sword attack from the back seat. 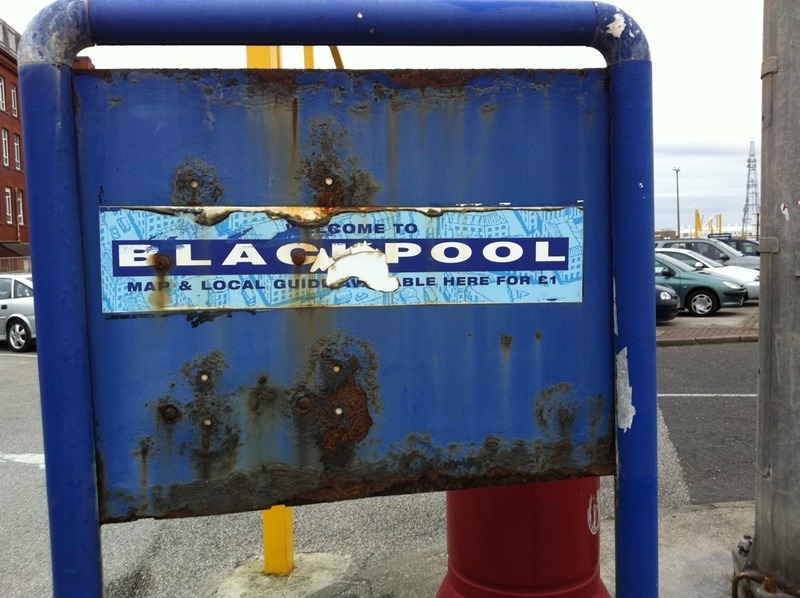 Nothing quite dampens the mood than Blackpool though. Crass consumerism, rotting facades and not a single smile to be seen in the four hours we spent there. Well there was one, on the face of the young reporter from the Blackpool Gazette who seemed to find our quest hilarious. We posed for pictures by Central Pier and shared an unspoken bond that although we all knew the place was vile none of us could say. We parted with us all a little in love with her.